Avon’s Gel Finish Nail Enamel is a 3-in1 nail polish that claims to act as a base coat, nail colour and top coat all in one. It also provides a high-shine, gel-like finish to your manicure. It comes in a large range of shades and because of its 3-in-1 claim, there is no need to apply a base coat or top coat along with the polish. However, you obviously can if you still wish to. I have previously reviewed two other shades of Avon’s Gel Finish Nail Enamel in the colours Creme Brûlée and Royal Vendetta. I am now going to show you the shade Parfait Pink, which is a bright pink shade with a subtle hint of shimmer that runs throughout. In my previous posts I have compared the nail enamel to similar gel-finish shades. In this case I do not own a gel-finish nail polish that is similar to this shade, so I will not be doing the comparisons throughout this post. The nail polish comes packaged in a square bottle that holds 10ml of product. It also comes with a squared black handle/brush. The bottle then also comes packaged in a black box with the product information written on it in white. Applying Avon Gel Finish Nail Enamel is fast and simple. The brush itself is wide enough to cover the nail easily in as few strokes as possible with very little mess. Even if you find yourself to be a little untidy with nail polish, this one should simplify the job for you. So far, out of the Gel Finish Nail Enamel shades that I've tested out, this is closer to Royal Vendetta in opacity than Creme Brûlée, which was incredibly sheer. It was very nearly a one coater, but I found myself just needing a second coat. Drying time is pretty fast. The first coat was dry enough really quickly, so the second could be applied without much of a wait. The second coat was fully dry within around 10-15 minutes. Whilst the colour is very bright and cheerful, the shimmer that is included in the formula is a little hard to notice. If you look really closely then you can see it, but only if you're in really good lighting. 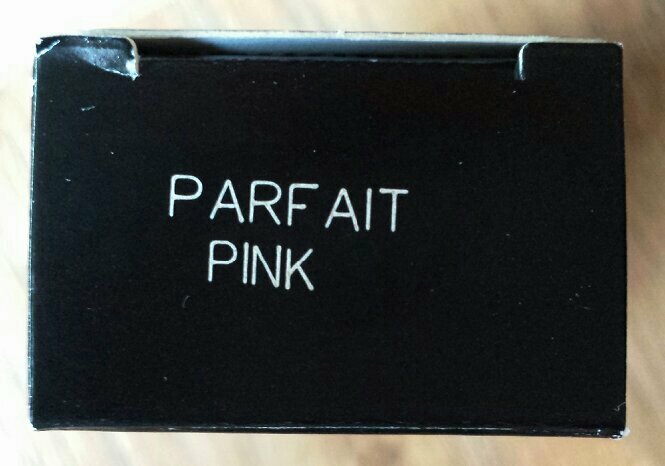 In regards to the gel-like finish and high shine, I find Parfait Pink to be lacking on both aspects in comparison to the other two that I have tested. It just doesn't seem as "squishy" looking, if you get what I mean? It seems a lot closer to a regular type of nail polish finish to me. With that said, the colour is a beautiful shade of pink. I'd probably say that it is better suited for Summer rather than Winter, but of course that decision ultimately lies with the wearer. You can purchase the Avon Gel Finish Nail Enamel in Parfait Pink for £7 from either Avon online or through your local Avon rep. Occasionally Avon do offers on the whole range and reduce the price to £3.50 a bottle. 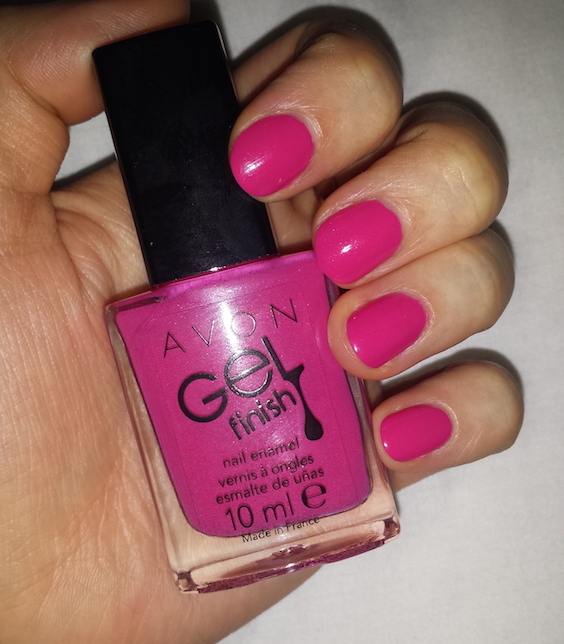 What are your thoughts on the Avon Gel Finish Nail Enamel? What's your favourite shade?